First clip from Netflix's Manga adaptation. 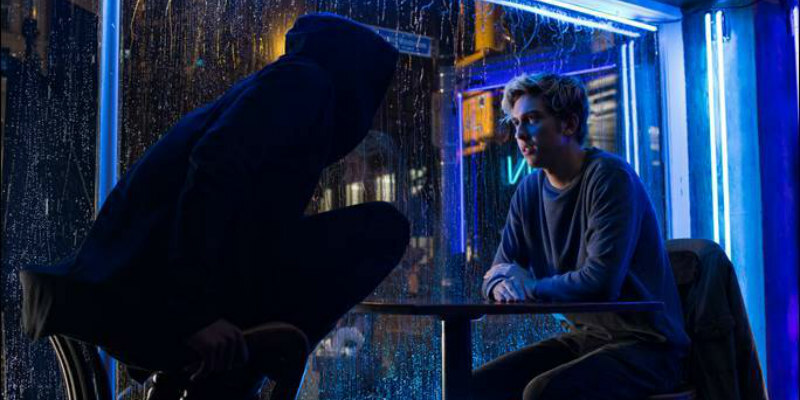 At San Diego Comic Con, Netflix premiered the first clip from director Adam Wingard's take on the cult Japanese Manga series. The film, which stars Nat Wolff, Margaret Qualley and Lakeith Stanfield, debuts on Netflix August 25th.